There have been a lot of headlines, hot takes and misunderstanding about Apple's legal fracas with the FBI and U.S. government. Here is what's at stake. If you've been anywhere on planet Earth with an internet connection in the last week, you've probably heard something about Apple, the FBI and iPhones. You've also likely picked up on the fact that this is an important story. There have been a lot of headlines, hot takes and misunderstanding. So what's really going on? It began when a federal judge in California ordered Apple to help the FBI access the work phone — an iPhone 5c — of Syed Farook, one of two shooters in the ISIS-inspired San Bernardino attack last year that left 14 people dead. The phone's data is encrypted, and therefore can only be accessed with the correct four-digit pin. But the phone has security features that make finding the correct passcode difficult. First, the more times an incorrect pin is entered, the longer you have to wait to try again. Second, after 10 incorrect guesses, the phone is wiped clean of data. That second feature was turned on by the San Bernardino Country government, Farook's employer. The FBI wants Apple to write new software that would help it circumvent these security features. That would allow investigators to use a method called "brute force" — bombarding the pin mechanism with all possible combinations — until eventually the right pin is entered, unlocking the phone. While Farook made a point of destroying two other phones he used, the U.S. Department of Justice says there is possibly critical information "that may reside solely on the phone" in question. Apple has very vocally refused the order. Why won't apple Apple help? CEO Tim Cook said in a public letter that the FBI's request would amount to creating a "back door" into older model iPhones. 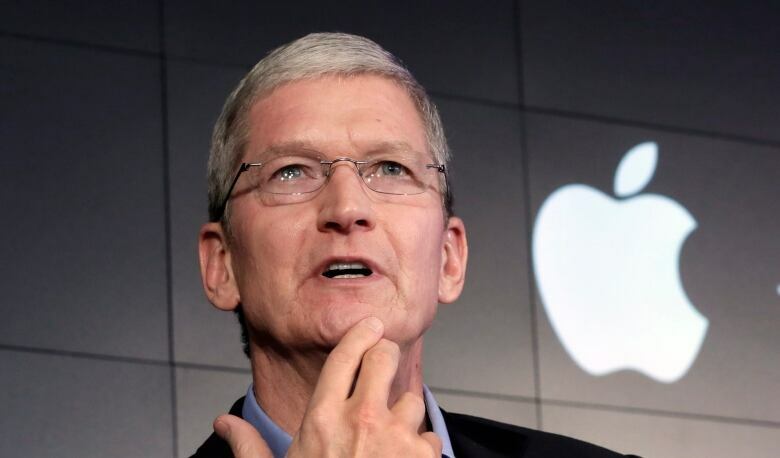 "The government is asking Apple to hack our own users and undermine decades of security advancements that protect our customers — including tens of millions of American citizens — from sophisticated hackers and cybercriminals," Cook wrote. CBC Forum | When should security trump privacy? Last week, it was reported that iPhones made in 2014 and later, which have an advanced security feature called the Secure Enclave, would not be susceptible to the software. But according to Fusion, an Apple executive revealed in a conference call with reporters that the back door being requested could theoretically work on all iPhones, a fact that surprised even some cryptologists. In an op-ed published in the Washington Post, security technologist Bruce Schneier points out that "there's nothing preventing the FBI" from writing the software themselves, "aside from budget and manpower issues." "There's every reason to believe, in fact, that such hacked software has been written by intelligence organizations around the world." If you want to take a deep dive into iPhone security, click here and here for in-depth discussions about the more technical aspects of this case. What's special about this case? 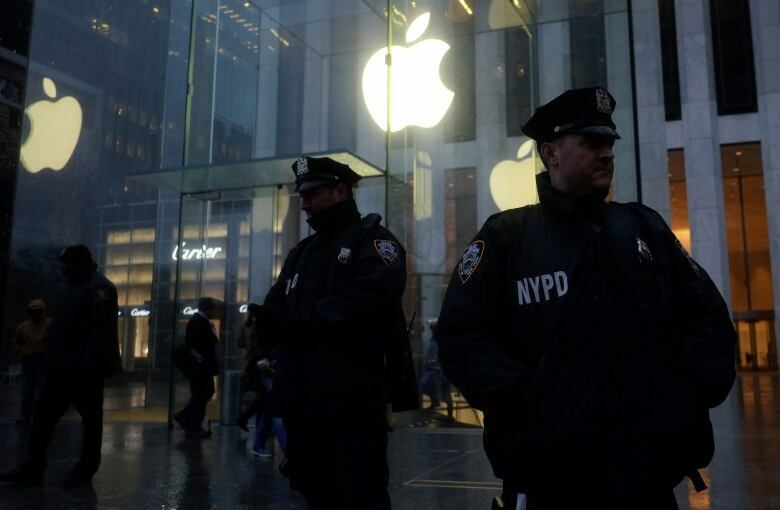 Apple admits that it complies with thousands of legal requests for information from police each year. But this case is different, according Chris Calabrese, vice-president of policy at the Washington, D.C.-based Center for Democracy and Technology. "This poses a really fundamental question: Can the government force a company to turn their products into spy devices?" he says. "If Apple is forced to do this, we're going down a perilous path." The Manhattan District Attorney has already said that his office is currently sitting on more than 100 iPhones that it can't crack. When asked by Charlie Rose if he would pursue similar orders as the FBI if Apple loses the case, his answer was unequivocal: "Absolutely right." The Intercept, a news and investigative website, also spoke to state's attorneys throughout the U.S. eager to make similar requests. Interestingly, though, this is not the first time Apple has challenged a U.S. government order to help police bypass encryption security. Court documents unsealed Tuesday show that Apple is refusing to do "burdensome and involved engineering" in at least 12 other cases involving both older and newer model iPhones. Some anti-surveillance and electronic forensics experts expressed disbelief that the U.S. Department of Justice is not able to crack some of the older-model phones. <a href="https://twitter.com/csoghoian">@csoghoian</a> not only could my son jailbreak this, but there are FREE forensically proven tools that could image that phone. Adding to the unusual nature of this case, the Justice Department made the court order that normally would have been sealed public. Then on Friday, it filed additional papers that called Apple's resistance "a brand marketing strategy." Ann Cavoukian, executive director of the Privacy and Big Data Institute at Ryerson University, argues the government and law enforcement are using a "sympathetic" case to push the boundaries of their power. "Clearly it's a case that will elicit so much public support. Obviously hearts break for what happened in San Bernardino, but it's a cynical tactic," she says. "They are leading with fear." In an article published online late Sunday, FBI director James Comey said the order has nothing to do with setting a legal precedent. Rather, it's about "victims and justice." The FBI's request has been polarizing. Many of the who's who of Silicon Valley — though notably not Microsoft founder Bill Gates — as well as privacy advocates and cryptology experts have lined up behind Apple. 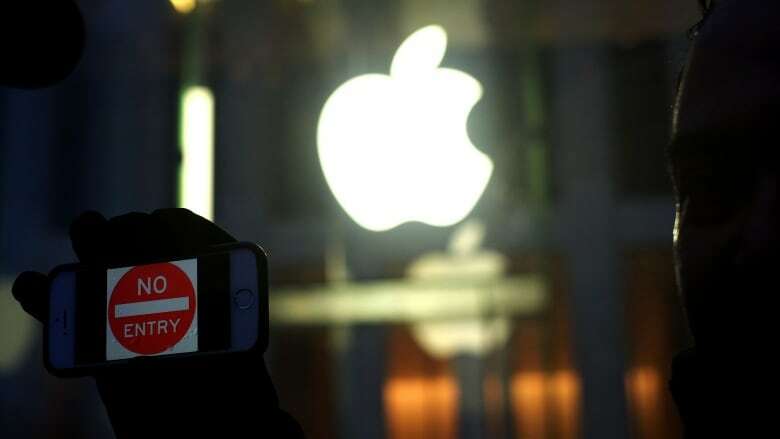 Law enforcement more broadly, as well as some notable politicians like Republican front-runner Donald Trump, say the tech giant should acquiesce, especially in cases of terrorism. A recent Pew Research poll shows the U.S. public is divided. About 51 per cent of the 1,002 American adults surveyed said Apple should help the FBI unlock the phone. Thirty-eight per cent said sided with Apple and 11 per cent didn't know. Trevor Timm, executive director of Freedom of the Press, argues the order is unlawful. "Everyone is sympathetic to the idea that we want to stop terrorism, but weakening security is not the answer to that," he told CBC News in an interview last week. "U.S. law clearly states that tech companies are allowed to design their systems so that they can lock themselves out so that only the users can have access to the communications." If Apple is forced to write software to bypass its own security measures, then every iPhone is potentially vulnerable. Governments have tremendous sway over how private companies operate within their borders, and it's more than likely back doors will be used to, say, crack down on rights campaigners, says Timm. "One of the greatest dangers in what the government is asking is that authoritarian governments around the world will soon be asking the same capacities from Apple." Cook sent an email to Apple employees Monday stressing this point. "This case is about much more than a single phone or a single investigation," Cook wrote in the email seen by Reuters. "At stake is the data security of hundreds of millions of law-abiding people, and setting a dangerous precedent that threatens everyone's civil liberties." Apple must provide its legal reasoning for refusing the order by Friday. The Associated Press reported Tuesday that Apple will argue that its fight with the FBI should be decided by Congress rather than by courts. If the company is ordered to carry out the FBI's demands again, however , it could continue to appeal but risk contempt of court and fines of up to hundreds of thousands of dollars per day. Once that process begins, there is like only one way to go: up. "This case will go all the way to the Supreme Court," says Cavoukian. "The implications will be staggering." When should security trump privacy?